Hooray, it’s my birthday week!!! I always love to make it BIRTHDAY FUN on my site the week of my birthday, I’m happy to have you along! Scroll below to read about the giveaways and freebies! 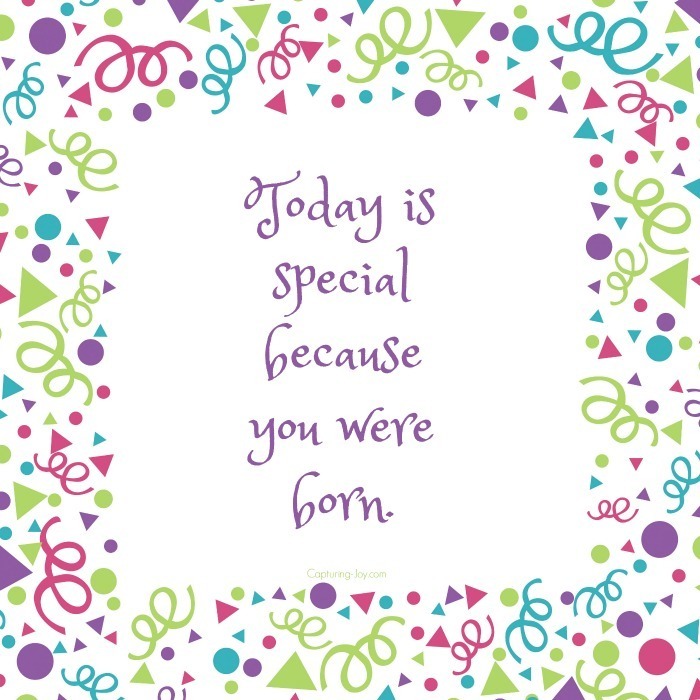 It makes me sad that some people don’t see their own birthday as anything special, and I’d venture to guess because they’ve been disappointed in the past. I try my best to do something special for those close to me in my life, but I often fall short because I love so many. I’d like to say that even if no one does anything, you can turn your frown upside down, and do something about it. Treat Yo Self: it doesn’t have to cost a lot of money, but do something for yourself whether it’s to get your nails done, write in your journal, put together that scrapbook you’ve been meaning to assemble, or go out with a friend. 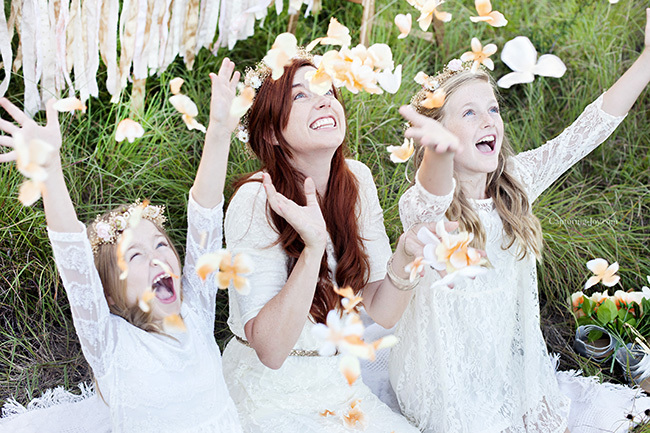 Last year, I treated myself to a fun little mother & daughter photo shoot, and I truly treasure those images! Serve others: I have high expectations for my birthday. In high school and college, I had amazing friends who made me feel extra special on my birthday, and it hasn’t always carried over every year as an adult. My parents did great, and my husband does well because he knows what it means to me. Whenever I worry too much about no one recognizing me on my birthday, I remind myself that it’s time to do a service for someone else, because I’ll always feel happier then. Random Acts of Kindness are a perfect birthday thing to do. You can drop something off to someone, pay them a visit, or invite a friend over for dinner. Reaching out to others goes a long way to bring happiness to yourself. I’ve definitely had times in my life, where I let the actions of others determine how I’d feel on my birthday, but no more. I can do something about it myself, and if others do something for me, it’s an added bonus. Just because I remember a lot of birthdays, doesn’t mean others do the same, so give people a break, and don’t take it personally if they don’t remember. 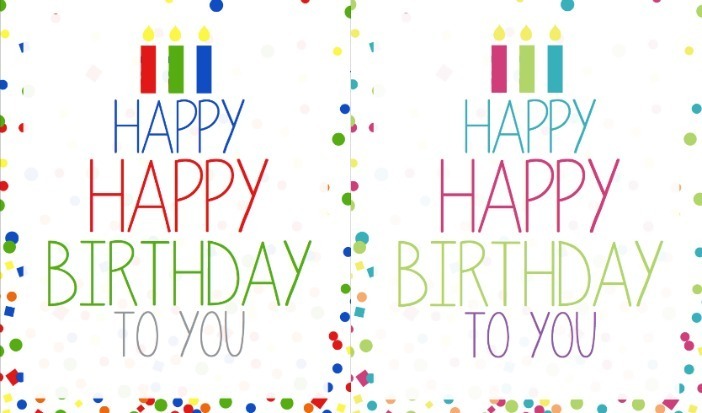 Something simple you can do is text, email, or send on social media a “Happy Birthday” image. I’ve created this one below, save it, and send it to people on their day! Now, back to the birthday week! I love to give stuff away for my birthday, that’s what makes ME happy (my kids love the tradition of me taking them to indulge on my birthday). *******I’ve got some great things in store this week, so don’t forget to check back on my site each day, and to follow along on the links below to make sure you hit and enter all the giveaways. Read below, to see where all of the giveaways will be. Besides those, I’ve got some other freebies for EVERYONE!!! I’m going to be doing LOTS of giveaways in THREE different places this week, on THREE different days, plus I’ve got 3 e-books coming out, all geared around family fun. You ready for this? 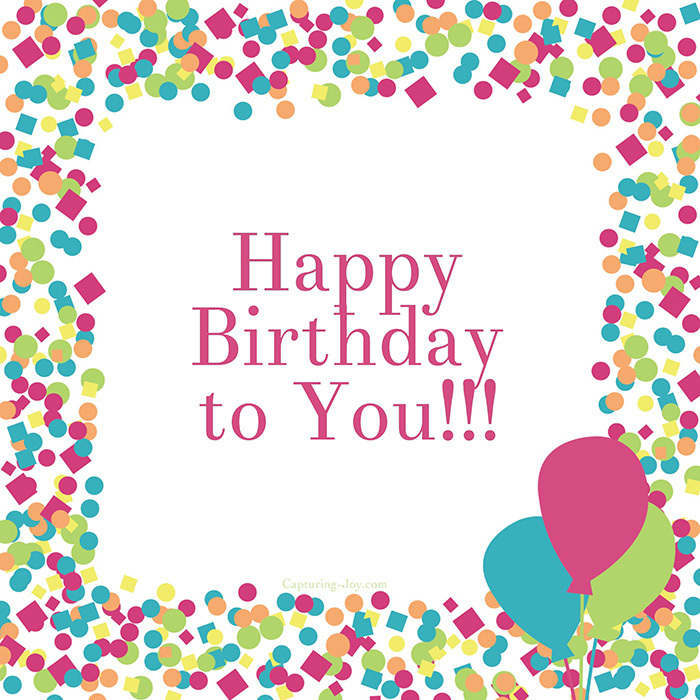 Celebrate my birthday with me, by sharing one of the images above on Pinterest, Facebook, or Instagram to get others excited about birthday week, too! 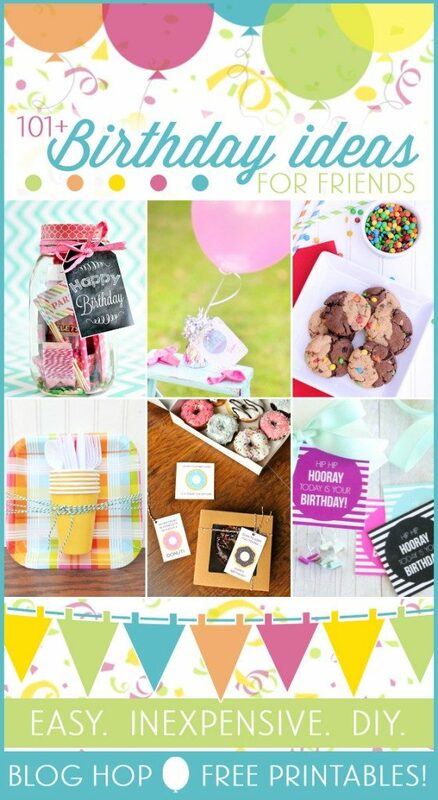 If you love birthdays, too, you may love some of my past birthday shares!